You’ve created your social media strategy, you’ve put your strategies into action. Do you just wait for the results to start rolling in? Or even more correctly, how to do you know when and if you generate any results from your social media efforts? Social media has gone from being a fad to become something that almost every brand is using. In fact, according to a study by eMarketer, 88% of Companies are Using Social Media for Marketing. But there’s still one big challenge that is scaring people away from social media, and that is the fact that it’s extremely difficult to accurately measure the results of social media, and therefore also your return on investment, or ROI. There’s no doubt that social media is, in fact, generating results. The statistics clearly prove it. However, the statistics don’t mean a thing unless you yourself can see them. You don’t want to be wasting efforts into a strategy that isn’t working, but unless you can see the results, you cannot know whether it is working or not. To properly succeed on social media, you need to know that you’re putting your efforts in the right place, identify problems with your social strategy and then tweak it to your advantage. That’s why, in this article, We’ll teach you How To Tell if Your Social Media Strategy Is Working. This is crucial for measuring results on social media. If you haven’t set any goals, how will you know when and if you achieve them? What’s more, your definition of a “working” social media strategy might be completely different from other brands, and that’s also why you must know exactly what it means to you. Social media can help you achieve tons of marketing and business goals – and it can achieve many of them at the same time. But it cannot achieve all. Also, unless you have set your goals in your social strategy where you clearly define your main objectives, as well as a few bi-objectives, you probably aren’t going to achieve them due to the simple fact that you aren’t working actively towards your goals. To be able to define “working”, you need to ask yourself: “What am I hoping to achieve with my social media efforts?”. Simple as that! When you have asked and answered that question, you’ll be able to ask yourself another question that follows, which is “Am I achieving those things?”. When you put it like that, answering the question normally gets a whole lot easier. The follower count metric is probably the metric that is speaking the clearest about how well you achieve your goal – if you have it as your goal. When starting out, you have a follower count. And now, you’ve worked actively to increase it. To present the results in an interesting and very clear way, you can use Social Blade that shows your social media growth (or decrease) for YouTube, Twitter, and Instagram. It also shows dates so you can know when your growth was the largest – so you can identify what you did good and try to replicate it. 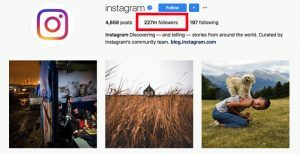 Many brands have the follower metric as their main goal because they are looking to establish a strong foundation that makes them look well-established, as well as have a big base of followers that they can reach time and time over. This is a major metric that brands are using social media for, and with all right! If used correctly, social media can help you drive quite some traffic. If you have very little other traffic, social media can quickly become your main source of traffic. Traffic to your website is undoubtedly valuable. When you are able to drive them there, you significantly increase the chances of a conversion – if your website can drive revenue in some way. Here’s an example of how your Googe Analytics can look as a result of traffic generated from Instagram. Therefore, having traffic as a goal and metric for success is highly relevant, because it can ultimately lead to more sales. Visibility and brand-awareness are essential for any type of brand. Yes, many brands are looking to drive sales immediately, but if you aren’t also thinking long-term, you’re missing out on valuable opportunities of scaling your business. Often times, if you are to pay ads on platforms like Facebook, you’re often going to pay for the number of views and the total reach. 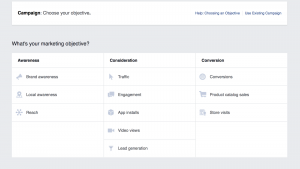 These two are both metrics that you achieve from your regular social media efforts, and often times, your “organic” results, that are the result of your efforts, can generate better reach and brand-awareness than your ads does. A week ago, I shared a Facebook post and then boosted it to reach more people. The post reached 4000 people and cost 4 dollars, but at the same time, an organic post on my Instagram account generally receives a reach of over 10K. Now, you shouldn’t mix apples with pears, but the followers I have on my Instagram are highly relevant and specific, and therefore, they might even be more valuable than the people I reach using Facebook ads. The bottom line is that you need to count exposure, brand-awareness, and reach into the equation when evaluating if your strategy is working. The reason is that these things are building your brand and increasing its visibility, which ultimately can lead to better customer relationships, and more loyal customer relationships and long-term purchaser. Thus increasing your sales and revenue long-term rather than driving a few sales here and now. A big mistake that many marketers and brands do when evaluating their results is to only look at one metric in detail, making them forget and ignore all the other results that they’ve generated from their efforts. The truth of the matter is that, on social media, you’re never just achieving results within one particular metric. You might be focusing on one, but at the same time, your efforts have effects on other of them as well. When you evaluate your results, you need to think in a bigger picture and understand that just because you have high numbers doesn’t mean you’ve generated incredible results. You need to question yourself and ask why you want to achieve the results you want to achieve – and how well you’ve achieved them. Yes, followers are extremely helpful in building a strong audience of interested people who you can reach and impact over and over. It can also be good to have lots of followers on the outside because many people take the number of followers you have as some sort of indication of how popular you are, and how big of an authority you are in your industry. But the big problem is that follower count isn’t everything. What if the people you have as followers are completely different from your target audience, and can’t care less about your brand? What if they are highly inactive or even spam accounts? This metric doesn’t tell you how engaged they are, who they are, or even if they will ever buy from your brand – because ultimately, that’s your goal. If you want to learn how I have grown over 1 million followers on Instagram, you can read my step-by-step ebook where I go through all the methods I have used. Traffic, is, as mentioned extremely important if your website has the potential to generate revenue. And social media is extremely powerful in driving traffic if used correctly. The only problem is that you have no idea if the traffic you drive will actually. It doesn’t matter if you drive millions of millions of people to your website. If the people who visit can’t be converted – they’re worth zero for you. Now, to solve these potential problems that might affect you – with people who aren’t converting on your site, or not knowing how engaged of an audience you have, you need to start looking at other things. This does not necessarily mean that you need to cut out the metrics that we’ve just talked about, but it means that you can use them to complement and improve the accuracy of the results that you evaluate. Instead of looking at follower count, you can to start looking at engagement and how engaged your audience is with your brand. Ultimately, this is what truly matters, because if they’re interested in your brand and engage with it on a regular basis, it shows you that they are very likely to convert. How is your traffic behaving? As mentioned earlier, your website traffic isn’t worth anything unless they convert in one way or another on your website. Sure, they might visit your website a first time and then return and buy from you, but your website ultimately drives the sale whether it be after the first of fifth visit. 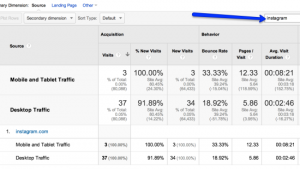 To get a better understanding of how the traffic you are receiving is behaving, you can use Google Analytics. With the help of Google Analytics, you can see what pages your visitors are going to, you can see what your website bounce rate is, and much more. If your bounce rate is high, you can hint that your visitors probably aren’t finding what they are looking for, or, that they simply aren’t interested in the things you have on your website. This can be an indication that you are reaching the wrong audience with your social media, and that you need to start improving your targeting and find better ways to reach your audience. How are you performing now compared to earlier? This is a method that most brands use when determining how well they are performing with their marketing efforts. You never want to generate worse results than previous year/period, right? No. You want to always improve because otherwise, you’re technically generating worse results. Growth velocity. You can also get more meaningful information by comparing a variety of metrics to those same metrics in the past. How fast are you growing? Are your numbers in every dimension increasing? Where are they falling stagnant, or worse, declining? These are valuable pieces of information. Have you evaluated your social media strategy? Is it performing the way you initially planned?